The extension of development period of Azerbaijan’s Azeri-Chirag-Gunashli (ACG) field will bring tens of billions of dollars to the country, said President Ilham Aliyev. He made the remarks in Ganja on Nov. 10 at a meeting with representatives of general public following the inauguration of the new building of Ganja State Philharmonic. The president noted that the opening of the Baku-Tbilisi-Kars (BTK) railway, which will pass through Ganja, is a historic event. “We implemented that historic project with neighboring countries,” he said. “All this work is in favor of our country. Both our economy and our political power are growing. All our achievements are based on the hard work of the Azerbaijani people." 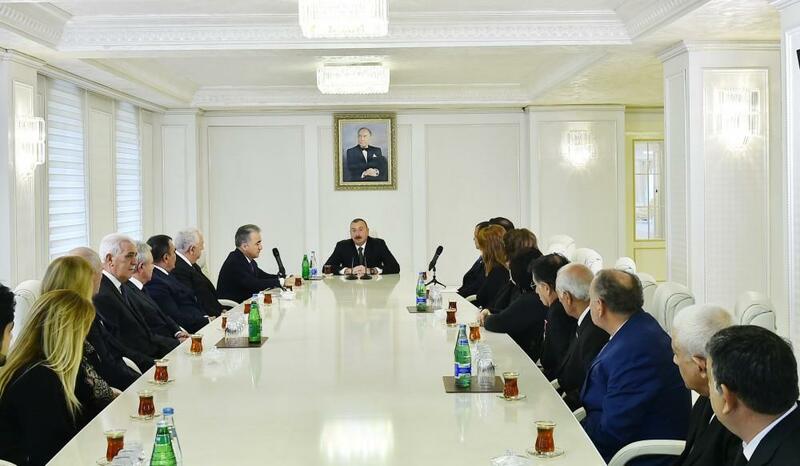 President Ilham Aliyev added that today development is observed everywhere. Citizens are participating in construction works with great enthusiasm both in Baku and Ganja, as well as in all regions and in all cities, noted the head of state.